To reject the world, is to reject sin, and to embrace Jesus is to embrace love, and inherit eternal life. The devil is so crafty you know, we must not give him the chance to destroy us. We pray more strength, and boldness. We are covered under the protection of the Blood of Jesus Christ. Therefore no weapon fashioned or formed against us shall ever prosper! We have got to stay Prayed Up! This is a must for every believer. The enemy can easily quench the fire of a believer that does not pray. 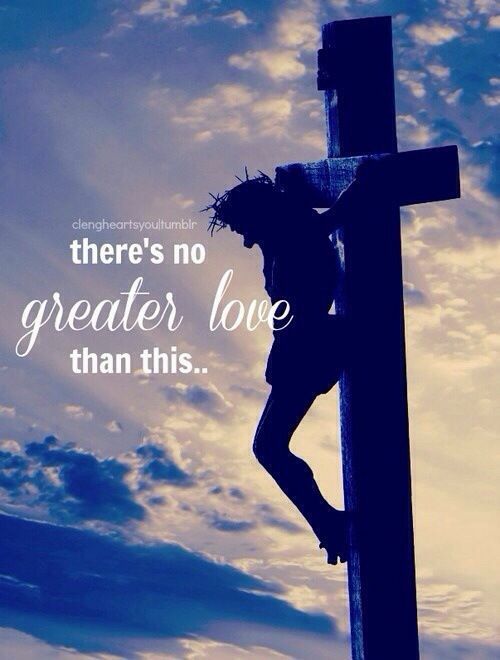 There is no life without JESUS Christ. May we hear You clearly Lord, and see more of You clearly. We must stand, and we must pray remembering that is never by our might nor by His Power alone. With Jesus Christ we are more than able to overcome. Be encouraged, it is never too late to change, it is never too late to repent, and it is never too late to let the world go. 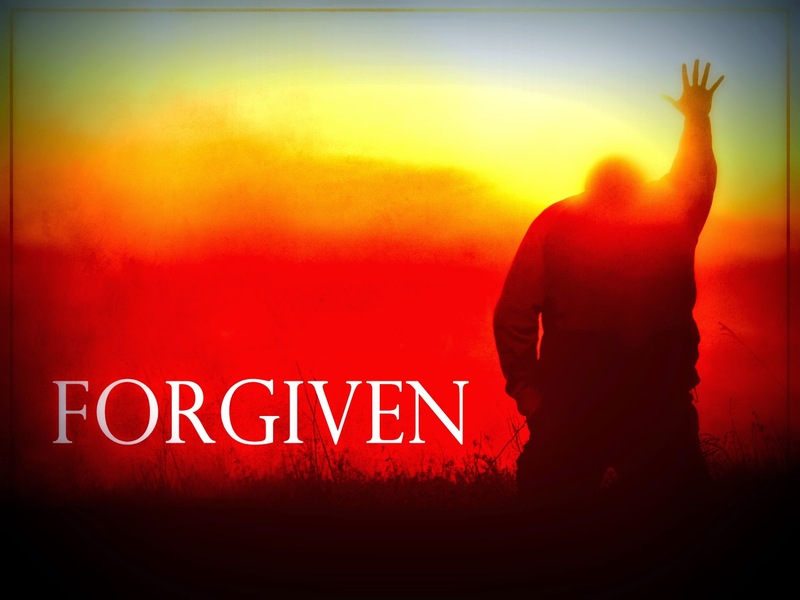 There is now therefore no condemnation for the sinner who repents, and turns away from sin. Be not ignorant of the devices of satan. There is now therefore condemnation for the sinner who dwells in sin. Lord help us to be dwellers in Your Light, in Your righteousness, and not in darkness, and sin. We need You Lord, and we cannot do without You. We thank You for Your mercy, Your grace, and Your loving kindness. Lord thank You for Your divine healing, You never fail in taking the pain away. Lord thank You for creating in us a clean and pure heart, and for also renewing our minds. Remove every spirit of distraction and confusion oh Lord, may our eyes see clearly, and may our focus remain on You. JESUS, we thank You for constantly interceding on our behalves, we are forever grateful. Lord in a very dark, compromising, and confusing World we thank You that Your Word forever remains the same, we thank You for constantly revealing Your Truth to us, and Lord we cannot do without You we need You in every situation, Lord we pray that You will have Your way in our lives, when we walk according to Your will, so we are also living a life that is pleasing unto You. Oh Lord the psalmist said in Psalm 51 cast me not away from Thy Presence, and please don’t take Your Spirit from me. A believer without the spirit of God, is like a dead man walking. Lord we desire to worship You in Spirit and in Truth, but this can only happen if we first die to self, and so Lord God almighty our prayer and our heart’s desire is to let the world go, and follow You, so please Lord help us Your children, Your royal priesthood in which You have set apart for Your glory. We need You Lord, we need You more, we need a fresh anointing, we need Your fire, we need Your presence Lord. Learn to wait on the Lord, and He shall renew your strength causing you to rise above and soar like that of an eagle. I just wanted to encourage someone that it is never too late to turn around, get back up and stand. Make that decision to let go and, let God. Allow Jesus to come into your heart, and of course to stay. Jesus loves you, come on you can do it. Get back up again, and finish the race for our Lord and personal Saviour Jesus Christ. If satan cut himself in front of you, well then you have the power to cut him right out! God has given you the power and the authority to trample upon lions, and poisonous snakes! Is there really anything too hard for our God! I am telling you that the Lord God Almighty, He is more than able. There are certain decisions, that you will need to make to get back on track with Him. You ran well, who cut in front of you and caused you to stumble? Let go of the confusion, the hurt, the guilt, the shame, the pain, the distractions, everything that stands as a hindrance to your progress, you better let it ALL go! Release it now, and let it ALL go! You have got to let it go, and it is very much possible to do not by your own strength but by the Spirit says The Lord. This mountain shall, and must be removed! Don’t allow satan to deceive you into believing that you can’t get out of that mess, it’s only an excuse to keep you in sin. We are no more slaves to sin. Through Christ Jesus we have been set free! Brethren, let us decide to follow Jesus, and this time we will make it, and this time we refuse to turn back! The Lord is my strength, and my song, and my song. It is never too late to get back on track. Get back up, and finish the race for Christ. No one ever did win running a race backwards, you’ve got to get up and keep it moving. Focus, and look to Jesus the Hope of glory!!! As long as I know that my Redeemer lives, I know that there is hope. Life is worth the living just because He Lives! You can’t expect to win staying down. We are more than conquerors! Focus, look to Jesus the Hope of Glory. Focus, look to Jesus the Author and the Finisher of our Faith. You’ve got to have faith, to reach that finishing line. No one ever wins a race feeling sorry for themselves. Self pity gets you nowhere. Prayer is what will build your speed in the kingdom of God. You cannot expect to finish the race without prayer. If you don’t pray there will be many obstacles along the way. Discernment, keep your spiritual eyes open. So not all the enemy to catch you unawares. It’s a lesson to us all, and I am grateful to God for this revelation. Thank You Lord for never leaving nor forsaking me. 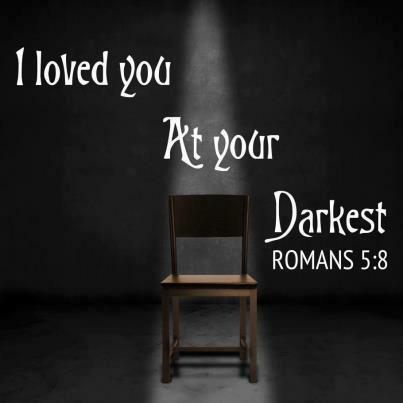 We are undeserving of His love, and yet He still loves us. Tell me, how can we turn our backs on such a loving God. Brethren, quit making the excuses to stay in sin. There is a way out, and it is through Jesus Christ. Release it now, let it ALL go, repent, pray, focus, run and finish the race well for His glory alone. Sometimes you just need to get away to refuel, and that’s ok. He looks at the heart, ensure that your heart is right with God. God sacrificed His Son, He let go of Him, so that we might live. What could possibly be so difficult for us to let go of? Have mercy on us oh Lord. I know the sacrifices that I need to make to live a life that’s pleasing to the Lord, and so do you. Maybe it’s your time that you need to give more of to God, or maybe you need to let go of that thing, or even possibly that someone. Every believer needs to make time to listen to God, and hear His voice more clearly. Sometimes we just need to get away from all the unnecessary noise. There are many voices but only one of them is true, and that’s the still small voice of God. I can boldly tell you that I am a servant of the Most High that has made mistakes, but I will never allow those mistakes to deter me away from the perfect will of God. No, this fire shall never cease. I have decided to follow Jesus, and there is no turning back. I would be lying to you if I said it is easy to let go,because it is not,but when it concerns the perfect will of God it is always worth it. 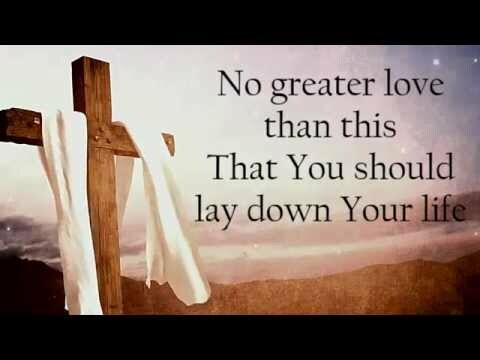 It was not easy for Jesus to die so that we might live, but He died and He arose and it was worth it. It is not easy to walk in the perfect will of God because we are set apart, we are not of this world. We are heirs of His Kingdom. You see that is why long suffering is a fruit of the Holy Spirit. We will suffer for His Name’s sake, but we will always overcome for His glory. Some believers still have not grasped what it takes to be in the perfect will of God. It is not easy, but it is always worth it. God will cause you got be a Light in this generation, if only you yield to His perfect will. To yield means to let go of compromise. You’ve got to choose Light or darkness, but you cannot be in both. Focus, and keep your eyes fixed on The One who matters most Jesus. There is none like our Lord and personal Saviour Jesus, He will never let you go and neither will He lead you astray. Hold on to Jesus, let Him be your everything, allow Him to be the Lord over you life, the centre of your focus, the lover of your soul. Make a decision today to turn away from sin, and come back to Him. Follow Jesus, and let the world go. Christians are not friends of this world, but friends of God. Let us uphold one another in love, in unity, and prayer. The best seed you could sow into another person’s life is prayer. Let us intercede in love.